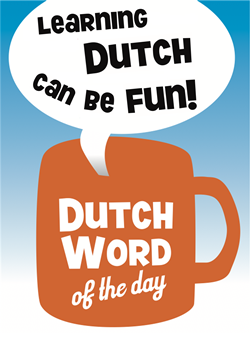 "Doei" is an informal word that you can use when parting. 1. Leaving a shop where the interaction was informal, or the staff is informal. 2. Saying goodbye to colleagues at the end of the day. 3. Hanging up the phone after talking to a friend. especially for women, but men tend to do it too nowadays. Ja, goed, maar waar komt het dan oorspronkelijk vandaan? I am looking for the origin of this expression. Thanks for that. I do recall my aunts in Brabant saying,”Houdoe” whenever we would leave. It strikes me that it could possible be derived from the Anglo Saxon, How do you do?. What about Frisian? It would be interesting to check it out in the Frisian language. Ga de Nederlandse taal niet verpesten! Is it not time to chuck out the dutch language and change to English? With the world getting smaller and smaller it makes more sense to have 1 global language and save the money and time spent to use it on other more important issues. I notice I often say “hoi” or “hoi hoi” when leaving. Maybe a Limburgian thing?